No idea if there’s any truth to that rumor, but probably not. Still, Robert Pattinson would be an intriguing choice as younger Bruce Wayne/Batman. 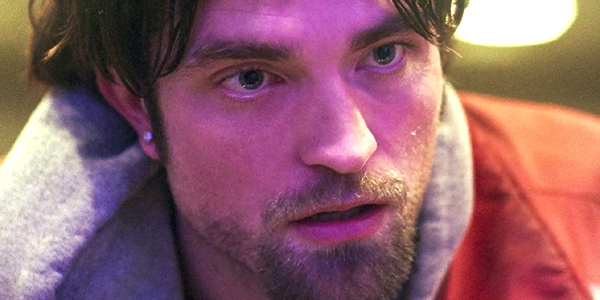 It would instantly be controversial, since his name is still associated with Twilight, but anyone who watched him in The Rover, The Lost City of Z, Water for Elephants or — especially — the acclaimed 2017 crime film Good Time — knows he’s not just Edward Cullen. Plus, the controversy could be good for marketing to build anticipation. So far, reactions to the image and overall idea have mostly fallen along lines of reactions to Robert Pattinson. There’s the hell no crowd — either because of Twilight, his other acting, just general dislike of him, or better options from other actors. And there’s the hell … maybe crowd — with people saying they wouldn’t have thought of him first but they could see it. We’ve seen plenty of Batman actors over the years, and unless Adam West comes back, whoever is cast will be met with the usual complaints. (Who am I kidding? Adam West would be criticized too.) We all have our favorite Batmans, from Adam West and Michael Keaton to Christian Bale and Ben Affleck (plus Val Kilmer and George Clooney). I can’t think of a time when an actor was cast as Batman and wasn’t picked apart for it. Some of the same people now showering praise on Ben Affleck’s Batman were probably the loudest voices in the room saying “Ben Affleck? !” when he was cast. That’s why you try and trust the director and give the actor a chance. That’s not an argument saying Robert Pattinson should play Batman. It’s just an early request for everyone to not do the usual knee-jerk freakout at whoever eventually does get the role.